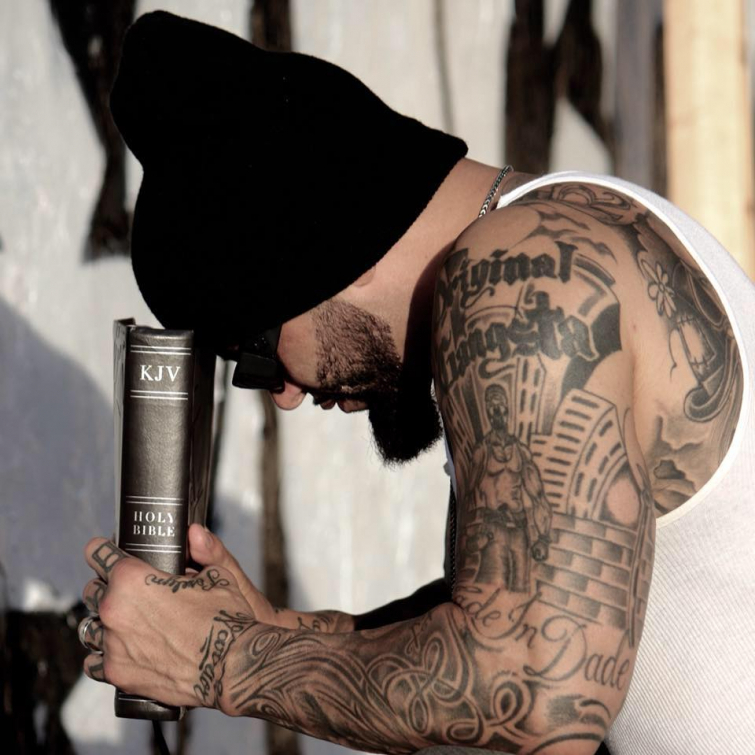 Former gang leader and mixed martial arts fighter Rene "Level" Martinez once terrorized the streets, but now they're his favorite place to preach the gospel. "My mom was into Santeria," Martinez said in an interview with CBN News, "which is like a form of witchcraft, sacrificing animals all over me as a kid, and I started seeing demons. They haunted me my whole life." Martinez' criminal career began before his teen years, and he started a gang, the Latin Syndicate, in 1990. "We had almost like 300 members and feds were investigating us... Half of my homies are in prison. Half of them are dead." "I remember the time the gun jammed in my face," he said, sharing several times God spared his life. "I remember the time the bullet grazed my head. The other time the bullet whistled by my ear. The times I was running through the backyard and they were shooting at me. All the times I got shot at. All the times I was half-dead, but I was still alive." "I was always good at fighting," Martinez continued, explaining his shift from gang life to professional fighting. "My name got so big that Telemundo came and they offered me a pro contract." "I had the money. I had the fame. I was doing the gangster music. But I was empty inside," he lamented. God turned it all around in 2016. "It's like he showed me my whole life in a matter of like five seconds," Level said. "I just got on my knees. I started crying out to God. And when He spoke to me, I knew that if I didn't surrender, I felt like I was going to die." Just over two years later, Level returned to the streets he once terrorized. "Now I'm giving them Jesus," he said. "I tell them 'repent and be baptized in the name of Jesus Christ for the remission of sins and you shall receive the gift of the Holy Ghost', Acts 2:38. That's what I preach." "A lot of people come to Christ cause of my testimony and I'm just honored to be used by God," Level said of his ministry which focuses on reaching gangs and at-risk youth. "It's a privilege and honor to be used by him. He could have chosen anybody else," he said. "I could have been one of the people that died early. But I'm still here and I'm grateful."